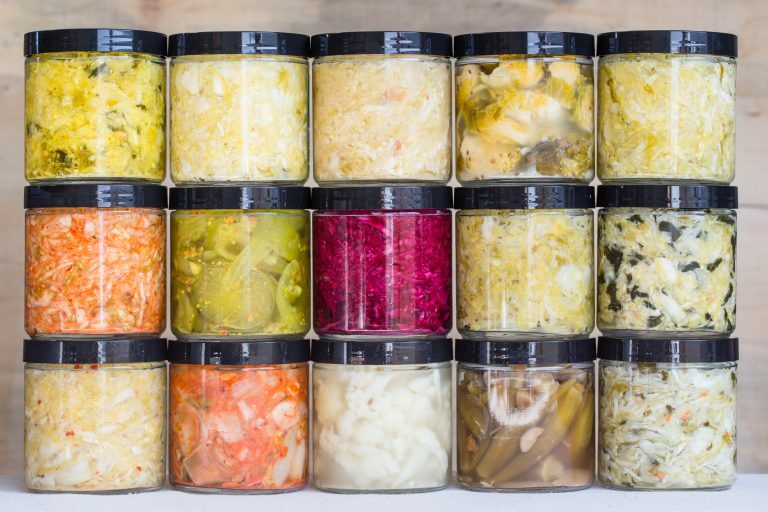 Fermenting vegetables is the new foodie rage—if you need a little variety in your sauerkraut, stop by Happy Pantry at Carlsbad Gateway Center (CGC) for all your fermented foods and Kombucha needs! Happy Pantry provides customers with a diversity of sauerkrauts, kombuchas, tonics and seasonal creations that were all born from a jar of pickles and a dream. Happy Pantry came from humble beginnings when owners and married couple-duo, Mark and Rebekah Stogsdill, moved out of their apartment kitchen to a small commercial kitchen at Carlsbad Gateway Center in 2013. After seeing much success at CGC, they moved to an even larger kitchen in February 2017. The larger kitchen allows Happy Pantry enough space to produce more of a variety of products and have a retail shop and tasting room open to the public. Customers can come in and view the fermentation process while getting a taste of some of Happy Pantry’s products. 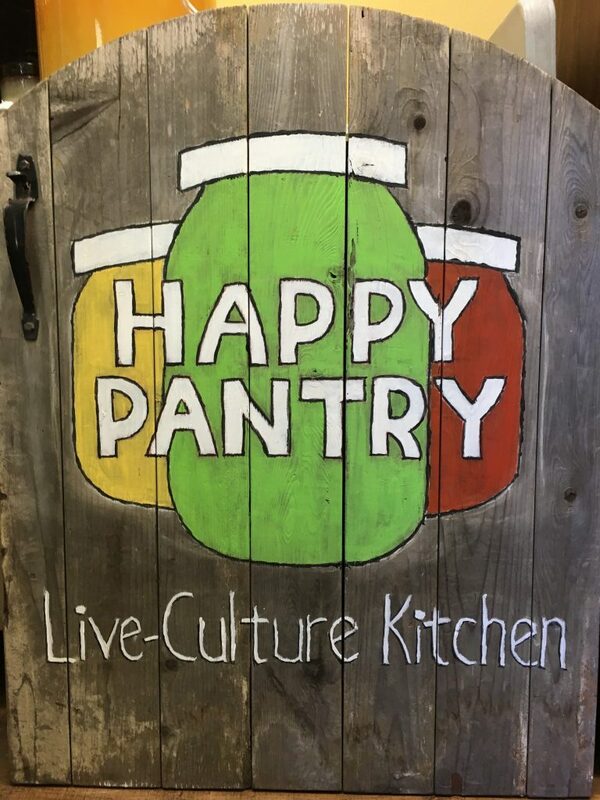 Soon Happy Pantry will be expanding their Live-Culture Kitchen to include “Grab n’ Go” fermented vegetarian lunches and snacks as well as their fermented Tonics and beverages on tap to provide even more convenience for their customers. Mark and Rebekah met in Mission Beach and have been married for 16 years. Together they have decades of experience in the hospitality industry with backgrounds ranging from serving, bartending and being behind the kitchen line to management. They combined their passions for food and creating healthy and delicious foods that they can share with others to create the ultimate health foods business and a product they can be proud of. 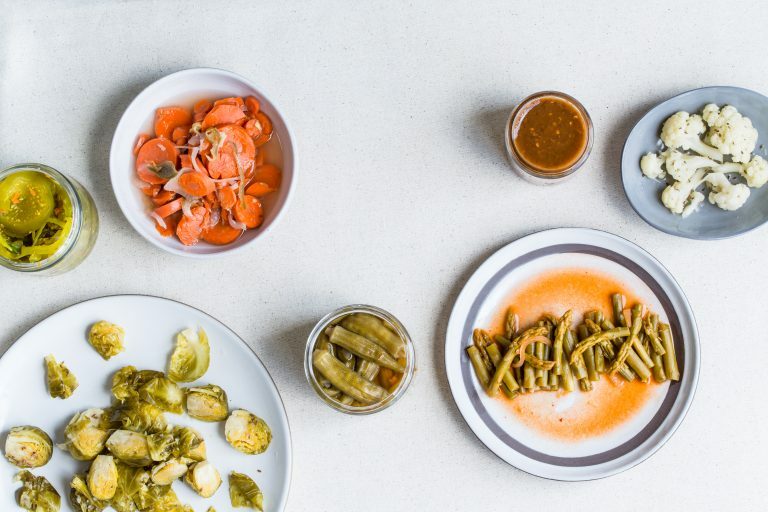 Happy Pantry’s Live-Culture kitchen offers over 30 different fermented food products including their Beet Kvass which is one of the owner’s favorites because of its tremendous health benefits. Another popular item is the California Kimchi because it’s vegan, spicy, delicious and versatile. Customers can treat it like salsa and it can be put it on everything! Pantry also offers Kombuchas on tap, which is fermented sweet tea that can be used as a healing elixir. Happy Pantry’s diverse flavors are seasonal and always changing. Some seasonal Kombucha’s on draft right now include the Candy Apple and Cherry Bomb. The fermenting process varies greatly between products. At Happy Pantry, they provide an environment for live cultures to flourish and work their magic over time to create a great product. 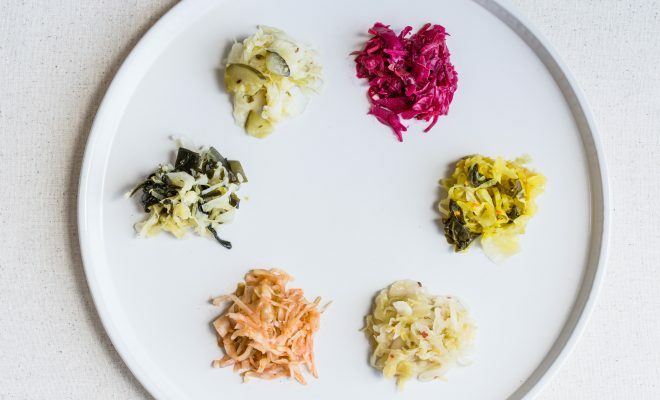 If you’re interested in the fermenting process, Happy Pantry offers classes to educate the local community in the arts of fermentation for Kombucha, Sauerkrauts, Kimchi and more! Happy Pantry is located on 5611 Palmer Way, Suite B in Carlsbad. Customers can also find Happy Pantry products at local farmer’s markets and many local grocery stores like OB Peoples Organic Food Market, Jimbos, Baker & Olive, Specialty Produce and more. Check Happy Pantry out at CGC today. For more information visit, carlsbadgatewaycenter.com and www.happypantry.com.